Did you know that 75% of the cholesterol in your body is made by your liver? Think about that for a moment. Would your intelligently-designed body manufacture so much cholesterol if it was bad for you? Your body and brain need cholesterol to function properly. We would not survive without it. Cholesterol is important for manufacturing hormones such as oestrogen, progesterone, testosterone and cortisol. Cholesterol helps the liver create bile, which enables us to digest food, especially fats. It improves memory and boosts serotonin, the chemical that makes us feel happy. It is also quite normal for cholesterol levels to go up as we age. It shouldn’t be seen as a bad thing. For too long we have been taught that cholesterol is bad. That it will clog our arteries, and put us at risk of a heart attack. We were advised to cut saturated fat intake, swap butter for margarine and to eat more carbohydrates. The result of people dutifully following these guidelines? Sky-rocketing rates of heart disease. Statins are now the prescribed treatment for high cholesterol, despite the potential for serious side effects such as muscle pain and weakness, cognitive impairment, type 2 diabetes and cancer. The truth is that yes, statins will lower your cholesterol levels, but it is no guarantee that you won’t still have a heart attack. Why? Because cholesterol is not the root cause of heart disease – inflammation is. 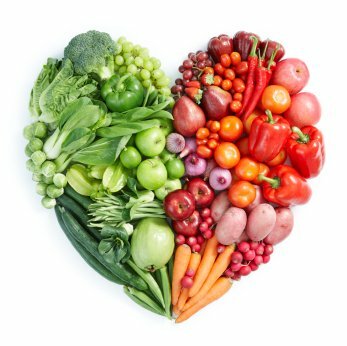 Without inflammation, cholesterol would move freely through the body and never accumulate on the walls of blood vessels. Inflammation is caused by toxins and certain foods that the human body was not designed to process. And for the record, these foods are not the butter, eggs, meat and cheese we have been told to avoid. The true culprits are sugar, high-carb processed foods, as well as seed oils. The good news is that a low carb, healthy fat diet is very effective when it comes to fighting the scourge of heart disease. Standard medical practice is to check total cholesterol. But, a total cholesterol score tells you very little about your risk for cardiovascular disease. 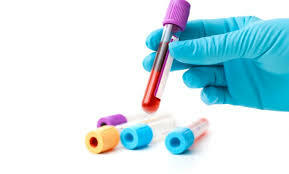 Fortunately, there are other blood tests that provide more information. Let’s start by looking at what some of these tests are and the ideal values to aim for. This is referred to as the ‘good’ cholesterol. An increased level is protective against heart disease, while a low level raises your risk. Men generally tend to have lower HDL than women. The result should ideally be greater than 1.7 for men, and for women, as close to 2 (or higher) as possible. If yours is on the low side, the best way to get it up to optimal levels is to eat more butter, coconut oil, omega 3 fish oil, eggs and grass-fed meat. Eliminating junk food, sugars and carbs will also definitely help, as will exercise and reducing alcohol consumption. This is a type of fat found in the blood. An optimal result is around 0.5, although less than 1.7 is the suggested normal target range. Raised levels puts you at risk for heart disease and diabetes. There is no drug to lower triglycerides, but it does respond exceptionally well to a low carb diet. Not smoking, regular exercise and cutting back on alcohol will also help reduce it. Lipoprotein (a) is a specific type of small LDL cholesterol particle and is the most dangerous of the blood lipids. It inflames the blood and makes it sticky—making it more prone to clotting. This is often referred to as your ‘inherited’ or ‘genetic’ cholesterol. A diet high in carbs and low in saturated fat tends to raise it. Elevated levels are a very strong risk factor for heart disease. Again, there is no drug available to lower it, but butter and coconut oil as well as a low carb diet do a pretty good job of it. The range allows for up to 30, although 20 or lower is what one should aim for. This test helps to determine whether you have chronic inflammation in your arteries. Things like smoking, excessive alcohol consumption, poor gut health, trans fats, processed carbs, stress and high blood sugar can all contribute to an inflammatory state. Elevated levels of homocysteine is considered a risk factor for cardiovascular disease. When homocysteine builds up inside the body it acts like a toxin and causes inflammation. While the recommended range is 5-15, the experts advise that your result should ideally be under 6. Research has shown that supplementing with vitamin B12, B6 and folate can help reduce someone’s risk of inflammatory heart conditions, since it helps decrease the amount of homocysteine in the blood. If yours is over 6, consider taking a quality B Complex supplement and including more broccoli, leafy greens, organ meats like liver, poultry, and avocado into your diet. LDL is the so-called ‘bad cholesterol’, but not all LDL particles are bad – there are some good ones too. The small, dense ones are bad, and the large fluffy ones are good. So how do you determine which ones you have? You can do a particle size test which is available in South Africa and is very affordable (Lipoprotein Electrophoresis), or you can use a simple equation to give you an indication whether yours might be the bad or good kind. Divide your triglycerides by your HDL reading. A score of under 2 is OK, but the best marker would be under 1. A low carb eating plan is the best treatment for turning bad LDL into the good kind. When following an LCHF eating plan, LDL may go up initially before it settles down, which can take up to a year. It is nothing to be concerned about and is merely your body adjusting the size of the particles. Overdoing the carbs and spiking your blood sugar and insulin can negatively impact your heart health. Insulin resistance is a major factor when it comes to the build-up of plaque in the arteries. Getting that ‘low blood sugar feeling’ between meals, where you feel nauseous, dizzy, irritable and weak, is a clear warning sign that you have metabolic issues. Both insulin and glucose are very inflammatory to the body. Ask your doctor to test your blood glucose, insulin and HbA1c. HbA1c is a measure of average blood glucose over a 3-month period. Glucose and insulin should ideally be in the 4’s and HbA1c under 5%. The higher your HbA1c, the more inflammation and damage to blood vessels you will have. An HbA1C between 5.7% and 6.4% indicates pre-diabetes and above 6.5% diabetes. The book Cholesterol Clarityby Jimmy Moore and Dr Eric Westman. Posted on August 29, 2018, in Primal 101 and tagged blood tests, cholesterol, heart disease, LCHF, LDL, low carb diet, triglycerides. Bookmark the permalink. Leave a comment.